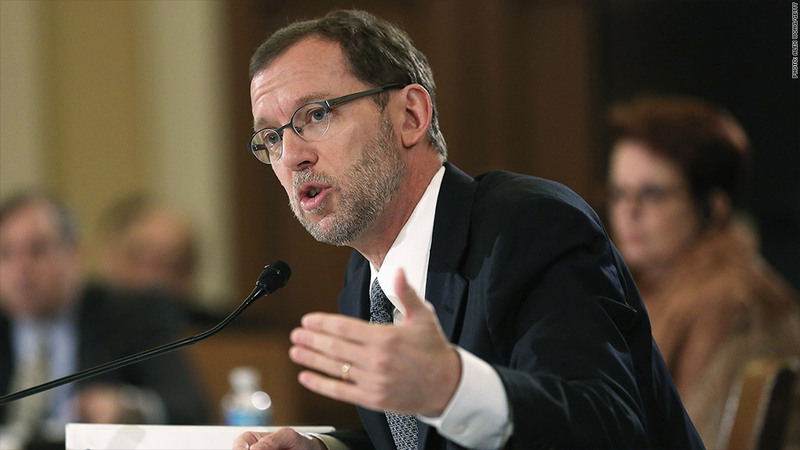 Some well-known economists are urging Republicans to reappoint Douglas Elmendorf, who they are praising for his impartiality as head of the nonpartisan Congressional Budget Office. His analysis has sometimes ticked off the right or irritated the left. And it's ruffled the White House occasionally too. Yet Douglas Elmendorf has maintained the respect of Democrats and Republicans during his nearly 6-year tenure running the nonpartisan Congressional Budget Office. The CBO is the impartial scorekeeper, estimating the costs and benefits of legislation before Congress. The head of the office is chosen by leaders in the House and Senate. Elmendorf's term ends on January 3. Unless, that is, Republicans, who will be the majority in both chambers, choose to reappoint him. Now some economists on the left and right are publicly backing Elmendorf's down-the-middle cred and urging Republicans to stick with him. Greg Mankiw, former chairman of President George W. Bush's Council of Economic Advisors, in his blog: "What do you want in a good referee? Competence and impartiality. Doug has demonstrated both. He is a superb economist and, over the past six years as CBO director, has shown himself to be scrupulously nonpartisan. "[S]ometimes the benefits of continuity transcend ideology and political affiliation. Ronald Reagan reappointed Paul Volcker, and Barack Obama reappointed Ben Bernanke, despite the fact that both Fed chairs were initially appointed by a president of the other party. In the same spirit, I would encourage the GOP congressional leaders to reappoint Doug Elmendorf as CBO director." Michael Strain, deputy director of economic policy studies at the American Enterprise Institute, on Twitter: "Doug Elmendorf has been an outstanding CBO director. The United States should be grateful for his impartiality, skill, and service. @USCBO." Peter Orszag, former CBO director (2007 and 2008), in Bloomberg View: "One of the strongest signals the new congressional leadership could send that it is indeed determined to govern responsibly would be to reappoint Elmendorf. The CBO's independence, analytical prowess and respected role in policy-making would continue for four more years."